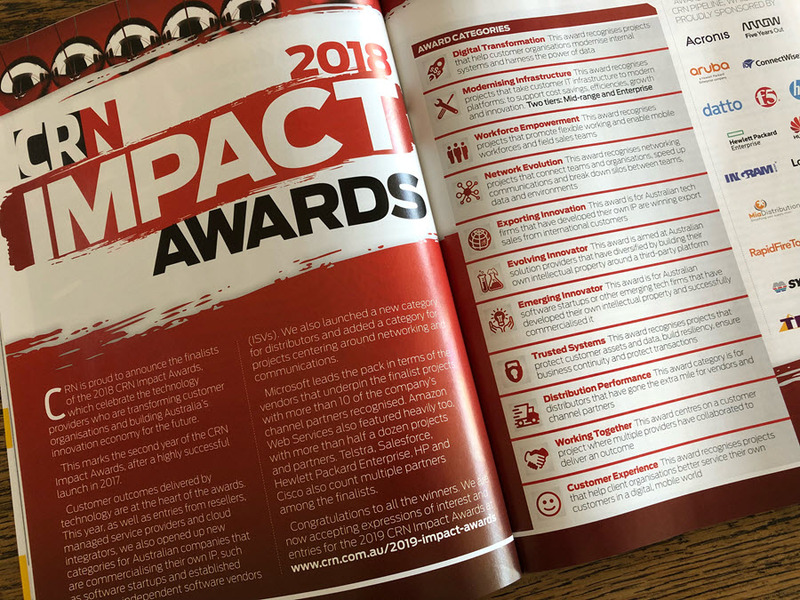 Wise-Sync is proud to have been recognised as a finalist in the CRN Impact awards again in 2018, being nominated for the Exporting Innovation category. Read more about the award on the CRN Website. The Exporting Innovation category includes Australian software / tech firms that have developed their own intellectual property, successfully commercialized it and are winning export sales from international customers. "It's an honor to be recognized again at this year's CRN Impact Awards for Wise-Sync, our cloud accounting integration. Wise-Sync continues to help our partners across the globe sync their accounting data to the Cloud. We truly believe in Wise-Sync and how it can improve accounting processes and save business time and money." Wise-Sync synced over 81,000 records to cloud accounting platforms in April, 2018 saving it's partners over 850 days of non-productive work; in April alone. MacNeill stated that "with the total number of records processed by Wise-Sync in any given month, the cost savings to businesses that make use of their platform is staggering. When compared with manual processes, this equates to over $170,000 in time-cost savings to businesses that are not using Wise-Sync." With over 490 customers in 9 different countries, Wise-Sync continues to expand its reach and capabilities especially with its multi-merchant payment solution, Wise-Pay, allowing partners to process automated payments using bank account and credit card. Wise-Pay processed over $4m in payments last month. The CRN Impact Awards winners were announced at the recent CRN Impact Awards Gala Dinner on the 6th of April, 2018. Find out more about this prestigious award, the winners and finalists on the CRN website.